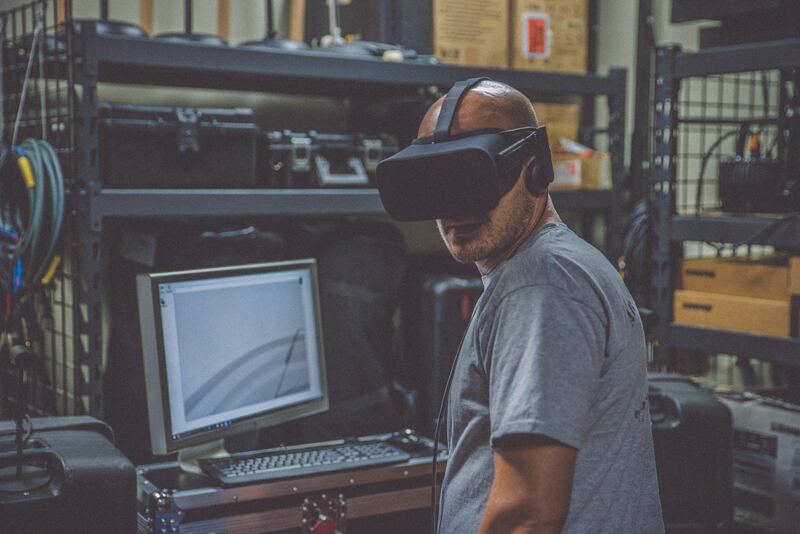 Virtual and augmented reality are becoming tools for the masses. Although adoption has been slower than expected, VR applications are already abundant. Once limited to the video game industry, virtual reality and augmented reality are becoming a reality for the mainstream. VR applications are already abundant: Artists are using VR to create a dizzying array of artworks, senior citizens are using it to simulate travel, neurosurgeons are using it to practice brain surgeries and researchers are using it to treat hoarders. Augmented reality, which features images, videos and other created content overlaid on the real world rather than full immersion in a virtual world like in virtual reality, is also generating buzz. Although VR currently far surpasses AR when it comes to headset shipments at 98 percent, some say that AR is the future. Millions of people played the AR game Pokemon Go in 2016, and in September of last year Apple released thousands of AR apps along with the new iPhone. But critics say that adoption of VR and AR has been slower than expected. All of the major VR headsets dropped their prices last year in response to tepid demand, including HTC’s Vive, Sony’s PlayStation VR and the Oculus Rift. One obstacle for adoption seems to be the hardware – VR headsets are still expensive, and some require consoles or high-powered computers that most people don’t have at home. Another is VR motion sickness, where people experience discomfort such as nausea and dizziness as a result of the discrepancy between what your eyes are telling your brain that it is seeing in the virtual world and what your body is feeling in the physical world. Despite these setbacks, interest in AR and VR remains high in tech circles. It may not be long before the general public catches on as well.